Partikel are three London based musicians all with very different musical backgrounds who have come together to make music mixing all of their favorite influences in a melodic, coherent and accurate way. The music puts an interesting twist on the standard jazz format while still honoring the tradition of deep harmony and creative improvisation. Drawing influence from African and Latin American music combined with the style of the contemporary New York jazz scene, Partikel produce a personal, committed and contemporary take on the saxophone trio. Soulful melodies are mixed seamlessly with complex mixed meter vamps and an instantly identifiable energy and band sound. Since releasing their eponymous debut album in 2010, London, 'Partikel' have established themselves as a dynamic and original addition to the European Jazz scene. They have spent the last 18 months performing up and down the UK, while holding regular rehearsals, consistently developing the material to be recorded on “Cohesion,” their latest release for Whirlwind Recordings. According to tenor saxophonist Duncan Eagles, “Most of the material that made it onto this album we have playing in for a long time, developing it on the bandstand and rehearsal room. The way we were playing this music a year ago is a world apart from how you will hear it on Cohesion”. The sound palette displayed on 'Cohesion' ranges from across the musical spectrum. “The three of us are always swapping CD’s and checking out what each other are listening to,” states Eagles. There are influences from North African and Latin American culture as well as more Western sounds from Jazz, Funk and Classical music, all held together with soulful melodies and a virtuosic band sound and energy. The band also have been running a successful night for the past 2 years at one of London's premier new jazz venues: The Hideaway in Streatham. As bassist Max Luthert rightly states, "We have been hanging out and playing together so much over the past 18 months this is really starting to develop a strong and cohesive band sound." Rarely do jazz groups get the opportunity to work together and develop their art as much as Partikel has these past few years. The result of this musical growth is clearly evident on their latest album 'Cohesion,' which presents a fresh, melodic and fiercely interactive set of passionate and sincere music, while presenting an original take on the classic jazz saxophone trio. Partikel are racking up an extremely high profile CV having performed at Brecon Jazz Festival, The Kings Place, Pizza Express Jazz Club Dean Street, Marlborough Jazz Fest, London Jazz Festival, The Edge Arts Centre, The Vortex and the 606 Club to name just a few aswell as holding their extremely successful Monday night residency at the award winning Hideaway club in South London which has been running for 18 months and is still going strong. Partikel also completed an extensive UK tour of over 15 dates throughout October and November 2011 to promote the release of their 2nd album “Cohesion” All members of the trio are also very busy on the International Jazz Scene and between them have performed at some of the most prestigious Festivals and concert halls in the world including The Barbican, Cheltenham Jazz Festival, The Paris Cat (Melbourne), Slida Jazz Festival (Norway), Vancouver Jazz Festival, Ronnie Scotts, The A Trane (Berlin). Having released four solo albums to date, Paul Booth has firmly established himself as an in demand solo artist, as well as a ‘first call’ sideman for many big names in both jazz and popular music worlds. His ability to blend into any musical surrounding coupled with his talents as a multi-instrumentalist has seen him work with a variety of well-known artists. Paul is currently in the Steve Winwood band, can be seen touring with Basia, the BBC Big Band, Michael Janisch Quintet and has performed worldwide with the likes of Carlos Santana, Steely Dan, Eric Clapton, Riverdance, Ingrid Jensen, Matt Bianco, Eddie Henderson, Alex Wilson, Roberto Pla, Glenn Miller Orchestra, Snowboy, Ray Gelato, Jane Monheit etc. 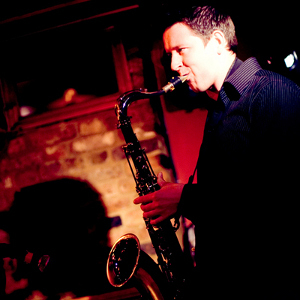 Although Paul runs several groups including the Paul Booth Quintet (including Phil Robson/Michael Janisch) and Bansangu Orchestra, more recently he has been going out with an organ trio featuring Ross Stanley and Andrew Bain. 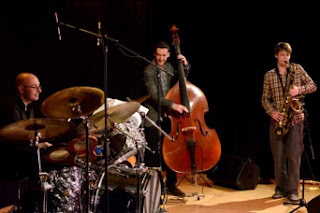 This band grew out of his latest album Trilateral, which featured three trio formations, one with Clarence Penn & Matt Brewer recorded in New York and the other with Phil Robson & Adriano Adewale. They can be seen playing all over the UK and are setting up a European tour for 2012/2013. The latest album offering has been receiving rave reviews and airplay in the UK. One of Britain's busiest pros, always on tour or in the studios, saxophonist Paul Booth is widely respected by fellow musicians but yet to grab the wider public. This artful themed album could change that.